If you have your mind set on the upcoming HTC Titan II, you won't need to wait for much longer. That is because AT&T has just announced that the smartphone will launch on April 8, alongside the Nokia Lumia 900. Getting your hands on one will cost you the usual $199, assuming you do not mind committing to a 2-year contract. So, what does your money get you? One of the first LTE Windows Phone devices, to start, meaning that you will be enjoying blazing fast internet speeds while on the go. Another standout feature of the HTC Titan II is its 16-megapixel camera, photos from which we have already had the opportunity to check out. Also, if you are a fan of massive screens you will be delighted to know that the smartphone has a 4.7-inch Super-LCD touchscreen display with WVGA resolution. Underneath its hood ticks a 1.5GHz single-core processor by Qualcomm, which should deliver a smooth Windows Phone experience. Keep in mind, however, that the Nokia Lumia 900, which is to be released on the very same day for only $99 on contract, is one pretty capable Windows Phone handset as well. That is why our HTC Titan II vs Nokia Lumia 900 specs comparison is something you may want to check out first. Additionally, we have an HTC Titan II hands-on review waiting for you as well, assuming you want to learn more about the upcoming handset. Tough choices if your into Windows phones. They both of their pros and cons. The Titan 2 does produce gorgeous pictures, where the 900 MAY be lacking. What HTC has in favor, however, is that they can simply make refinements to a phone they already release (Titan. Nokia 800 is not quite the same.). They Titan 2 has a great screen, but yes, after having some hands-on time with the Lumia 900 the screen is incredibly gorgeous, almost fake looking. The Lumia 900 is a little thicker, a lot heavier, same monstrous size (about), and is a fingerprint magnet (both back and screen). The Titan 2 has a smaller battery, lower PPI, worse screen, May be plagued by original Titans poor voice quality, and is 100$ more expensive. It really comes down to preference between these devices. after doing the comparison, I think the 900 is the better buy between the 2. Thats just my 2 cents. explanation is on the comparison page. I already made up my mind, but this is definitely a tough decision for anyone who walks in to an AT&T store and starts comparing the Titan II and the Lumia 900. The best compliment that can be paid to the future of Windows Phones, especially Nokia who has the biggest investment, is the fact that Anti-WP Trolls have developed. If Windows Phones truly had no future, ya'll be attacking something else to prove your self-worth. But on the bright side, as WP develops into the monster it will, you two can have years and years insulting it. Should be a good time. Oh no not another stupid comment. atleast its better than restrictions! o no not another apple ios! we dont like to be prisoned!!! I would go with the Nokia, it has a better screen, clear black display the best screen out there plus it's unique no other phone looks like it, the Titan is a thick phone 13mm not thin at all, the only thing the Titan has on the nokia, is the camera, but we know HTC does not put the best sensors on their phones and Nokia does so that could be a wash right there, plus it's a hundred dollars cheaper, you can't go wrong with the Nokia. having looked at samples i dont think the titan is really a better camera… go with the nokia! 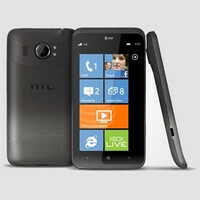 HTC is dedicated to WP as well, and it would be a mistake to write off the T2. Just see if AT&T comes to it's senses and drops the price on the T2 sometime soon, and if the calling quality is better than the US version of the original Titan (there are very few problems with the International version), and if the screen holds a candle to the Nokia's amazing quality. Also, you will have to settle for the HTC Hub instead of all the Nokia exclusives that they are developing for Windows, and the WP HTC Hub isn't as nice as the Android version. Also, Nokia is all in on support, so both Microsoft and Nokia will support the 900, where as HTC is good to WP but they are not a huge handset company because they are dumb. They make their money off of Android handsets, and have the "One" series to focus on, so the T2 will be an afterthought. Oh, and the Nokia's already running WP are great successes and loved by the owners, and those are just mid and low end efforts. The 900 is a top end effort designed to get Nokia back in the US market, and impress Verizon and Sprint enough to get them in those doors. Oh, nevermind. Get the 900. Probably not even close. Not to talk good or bad about this product is, but with WP OS being a market trailer this should sell cheaper to be competitive. Lumia 900 for $99 is more attractive than this. I have been waiting for this to launch. But, if I must gripe about WP its that the apps and games are so much more expensive than iOS and android. $3 for angry birds!!! Really!!! $5 for bejeweled!!! IJS I gave up my iphone for a focus just to take a test drive of WP!!! I hope that the Titan 2 does not disappoint!! !